The title of the new book is World Divided and it pretty much describes the dire situation immediately following the Krieger invasion. The Earth has been reduced to rubble and no one can come to an accord…especially in the United States. 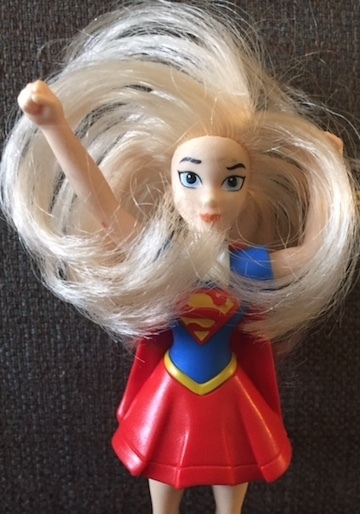 The government is barely hanging on, Echo, a branch of metahuman do-gooders, is in the midst of a hostile takeover, and the Super-Sobratiye Sovetskikh Revolutzionerov is still recruiting members and buying equipment on CraigsList. How pathetic. And worst of all, the eggheads from Metis—a Super Science LaLa Land—won’t expend nary a byte to help. To complicate things even further, a bedridden precog by the name of Ides O. March has predicted the end of the world. “Fire and death, fire and death,” he scribbles moments before setting himself on fire. “Nothing left. No one. The end.” He may not be a poet, but as a seer, he’s right on the money. No one wins when superheroes battle Nazi supermecha from outer space. 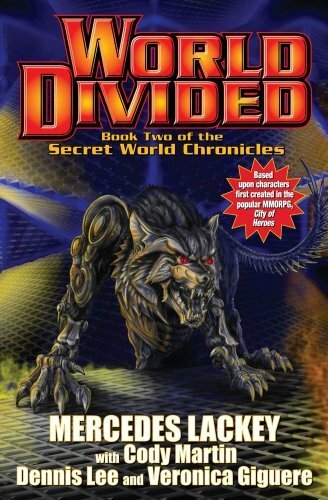 This entry was posted in Published in 2012, Short Story Collections and tagged Cody Martin, Dennis Lee, Mercedes Lackey, Veronica Giguere, World Divided: Book Two of the Secret World Chronicle. Bookmark the permalink.